iOS Data Eraser is an ideal iPhone/iPad/iPod "erase" application designed to permanently wipe all personal information from iOS devices using US Military spec over-writing technology to render the data unrecoverable and return the iDevice to a "clean slate" state before you resell, donate or trade it in. This perfect data eraser for iOS is capable of helping you prevent identity theft with 1 click ultimate pravicy protection when disposing your old iOS devices. No mattery what you would do to end up your old iOS device: give it away to a friend, donate it to charity or sell it on eBay, you may not want to leave your personal information to identify thieves. With this iOS Data Eraser for iPhone/iPad/iPod, you can 100% permanently wipe all the data on iPhone, iPad or iPod touch with one click to ensure it's not recoverable, just like a digital shredder. Unlike simple deletion, this iOS Data Eraser offers the most effective and safest data protection solution to permanently erase all personal data from all iOS devices and reset system settings with just one click. 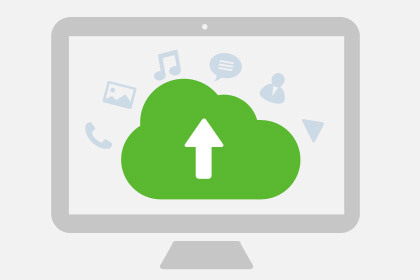 You are free from worrying about leaking out your private information since there'll be no data recovery tools that can recover any personal data from your iOS devices, not even the iOS Data Recovery for iPhone/iPad/iPod. 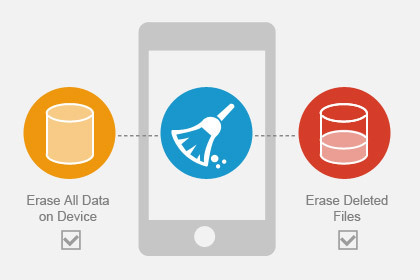 iOS Data Eraser for iPhone/iPad/iPod allows you to erase data from your iOS devices in 2 different ways according to your needs. • Erase all files on your iDevice: It can wipe EVERYTHING including contacts, messages, photos, videos, apps, account info, passwords, emails and other personal data from your iPhone, iPad or iPod. You will get a totally "new" iOS device in this method with nothing recoverable related to your privacy. 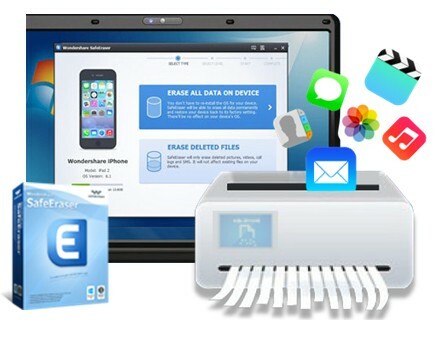 • Erase deleted data: With this method, you can permanently wipe all deleted files existing on your iPhone, iPad or iPod touch to leave no record of your private information for others to trace. • Low (1 pass): erases your iDevice quickly - Delete data on your iPhone, iPad, iPod touch in seconds. It writes a single pass of zeros over the entire device, saving you time. 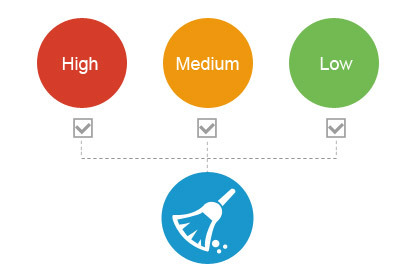 • Medium (2 passes): no trace of erased data - This option leaves no traceability of data erasure. It provides two passes of random data to overwrite your existing and deleted data to make sure that your data cannot be retrieved any more. • High (3 passes): meets the DOD 5220 - 22 M standard - It's the most secure data destruction option up to now. It writes over the data 3 times by using the DOD 5220 - 22 M standard. 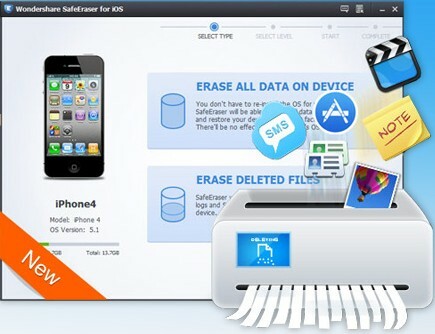 • Do backup of certain files - Back up the data that you don't want to lose before erasing your iOS devices using iOS Data Eraser for iPhone/iPad/iPod.